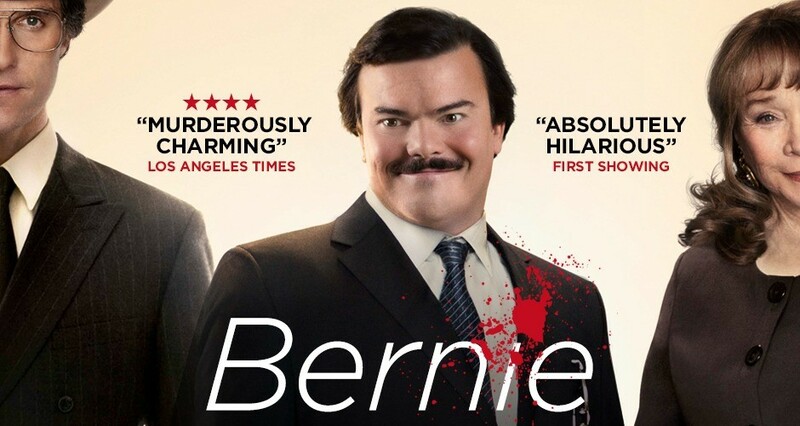 Recently opened in Galway cinemas, Bernie is a bizarre but effective true crime comedy drama centered around soft-hearted murderer Bernhardt “Bernie” Tiede and his odyssey from all-round Christian ethos good guy to all-round Christian ethos good guy serving life for murder. Acclaimed Texan director Richard Linklater (who last collaborated with Black to huge success ten years ago in School Of Rock) mixes docudrama footage taken-in the films funniest segments, from residents of Carthage, Texas where the story takes place and material shot with stars Jack Black, Shirley MacLaine and Matthew McConaughey. Into this strange but concrete world, Jack Black delivers a dialed down but effectively mannered performance as the title character. Introduced delivering a lecture on how to preserve and present a body for burial, at turns both slightly creepy but winningly warm and compassionate, Black nails the impossibly good-willed Bernie with aplomb. A is regular at the Church choir, director of school plays, and known for buying things of use for members of the community beyond what he could afford, Bernie Tiede was so beloved by the people of Carthage that after killing 81-year-old millionaire Marjorie Nugent (Shirley MacLaine) his trial would have to be relocated for fear that Bernie’s immense popularity would make a fair trial unlikely. When Bernie, who also applies professional rigor to consoling bereaved widows with little to no ulterior motive, first meets Marjorie, she is portrayed as a supremely cold woman that has chosen exile from the close knit community. Bernie sees the loneliness in the recently widowed Marjorie and devotes ample time to bringing her out of herself. This works for awhile as the wealthy older woman takes on Bernie as a partner of sorts (the extent of their relationship is somewhat ambiguous but by and large it appears platonic) who accompanies her around the world on expensive trips progressively gaining control of her finances and utilizing them to help the local community. As Marjorie becomes more possessive of Bernie we see the life and joy innate to the well-meaning man taken away as he succumbs to becoming an overused servant. The increasingly ill-tempered behavior of Marjorie first cuts Bernie away from his ties in the local area that are dear to his heart and ultimately, if one takes the film as gospel, bring about her eventual demise. Whilst showing us the dynamics of Bernie and Marjorie’s relationship the film jumps back and forth between its own narrative thread involving Jack Black and interviews of real Carthage natives whose gossipy talk and distinctly Texan mannerisms provide a real comic undertone to Bernie, that brilliantly augments the filmed sections with actors. Matthew McConaughey pops up as a hot-shot lawyer who discusses the merits of Bernie’s case and wanting to bring justice to what he sees as a man who shot a woman in the back four times and deserves everything coming to him. He’s very good here in a supporting role following a string of well received turns in The Lincoln Lawyer, Killer Joe and Magic Mike. As good as the three leads are, it’s the non-actors that make the biggest impression in Bernie. Their small town chat and bias (he’s so nice; why the judge can’t just let Bernie off for murder seems to be the general consensus) provide several solid laughs and here as well as painting a fascinating insight into the small East Texas town. As a sociological study of this Texan town, a character piece and a true crime story, Bernie is a strange and frequently interesting piece that treats its subject matter with reverence (deserved or otherwise Bernie is presented in thoroughly sympathetic manner) whilst finding drama and light humor in this tale of murder.